Oklahoma, the Sooner State, is a mildly dense state in terms of population and ranks 20th on chart that lists US states on area basis. 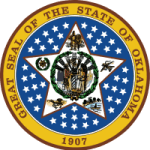 Constituted in late 1907, Oklahoma became the 46th state under US union. Lying on the Frontier Strip, Oklahoma is the major producer of natural gas and oil in the country. Oklahoma is highly developed and has registered among top developing regions of US nation in past few years. Consistent development in various industries such as aviation, biotechnology and health care industry has led to progressing, rocketing and thriving economic growth. What is Oklahoma Board of Nursing and what are its responsibilities? Blooming from shades to bright light in past years, especially during 2000-2003, the nurse practice act and Oklahoma Board of Nursing have undergone many amendments. Resurrecting the hopes of people to ensure better health care services and standardizing the nursing act and programs in state, Oklahoma Board of Nursing was enacted by legislation of Oklahoma in 1909. The board is bound to follow the legal procedures and follow all the laws stated in various sections of nurse practice act and State general assembly nursing laws. Oklahoma board of nursing is responsible for licensing and certification of various applicants and licensees. Reviewing the nursing programs and preparing a report of annual development of nursing programs are also obligatory responsibilities of Oklahoma Board of Nursing. Each of the nursing board is a part of the NCSBN council, which is a national authority to regulate the working of various state nursing boards. Board decisions are reflected by board actions and are taken in various meetings that are held in Oklahoma for promoting nursing operations. What is the scope of Oklahoma Board of Nursing and who are the various professional working under this board? Oklahoma Board of Nursing is not meant for a single professional or a single group of professionals; rather, OBN covers almost each and every nursing professional from basic practice to advanced practice levels in Oklahoma. Board members are elected by the Governor of the State for five year tenure after counseling the application forms with state senates and legislative assembly. There are 11 current working board members and there are various board staff members working under board of nursing besides the regular board members also. Dentist Assistants and many more.